Our focus as a brand is to bring people together and emphasize hospitality, so please focus on the flavors and less on the technique here if you already have a method that works for you. Preheat your grill to indirect low heat around 350℉. Rinse and dry your chicken. Once the chicken has been dried, rub it with olive oil to get a light coating of oil on all the exterior surfaces. Just enough to help the rub cling to the surface and help crisp up the skin as it cooks. 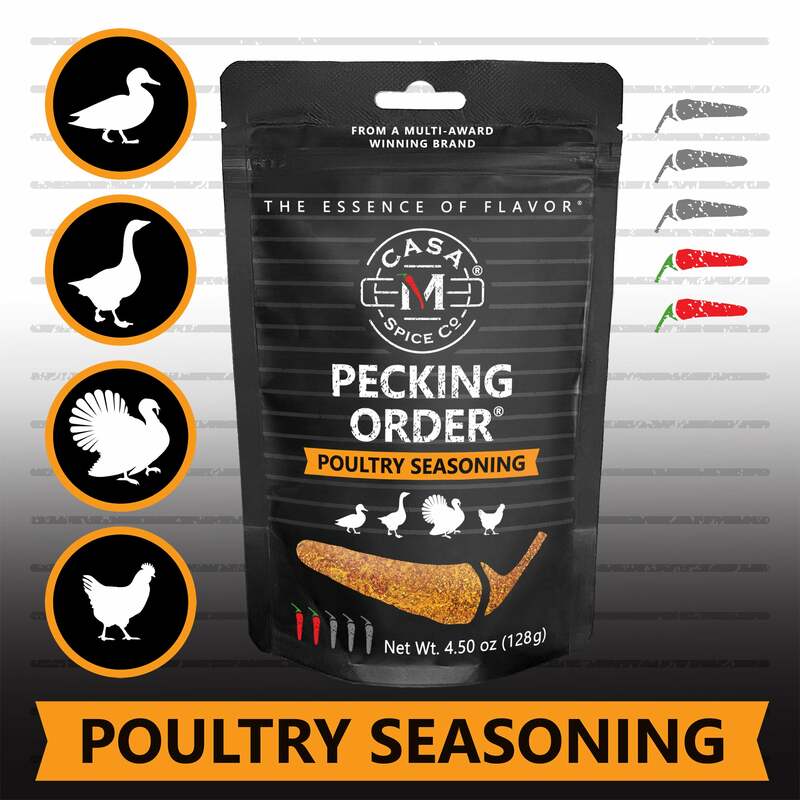 Salt the chicken at about 1/4 teaspoon per pound of chicken. 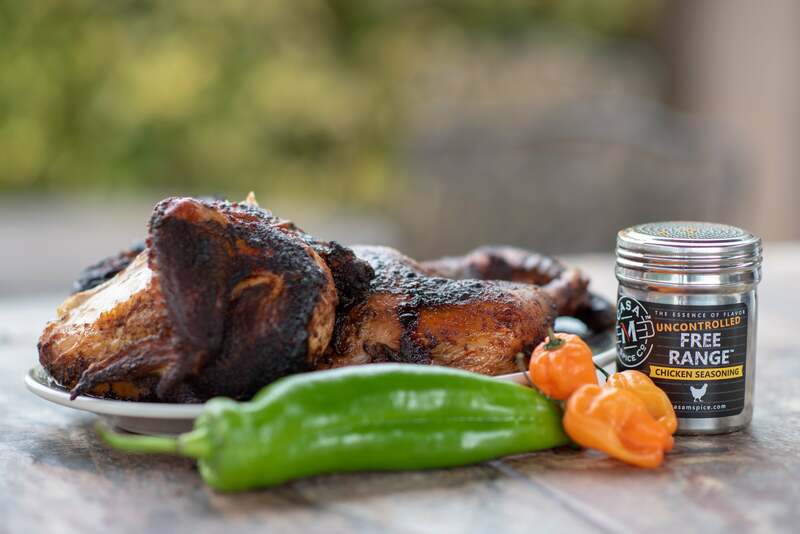 Apply your selected Casa M Spice Co™ dry rub for chicken generously. 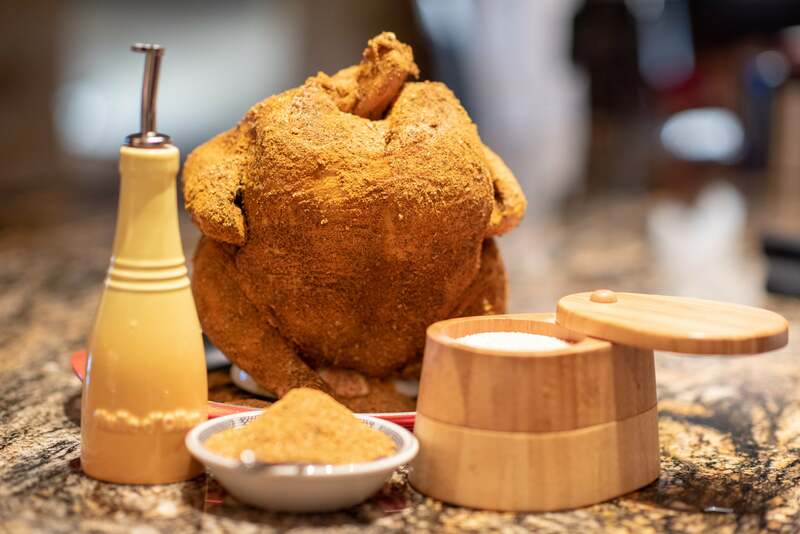 Fill your vessel with your chosen liquid and place the chicken cavity over the top of the vessel such that it sits up and on the vessel firmly. Place the chicken (complete with the vessel) onto your grill (again with indirect heat) and shut the lid. Cook for approximately 90 minutes until the internal temperature of the breasts reaches 160℉. Once internal temperature has been reached, pull from the grill and let rest for 10 minutes. 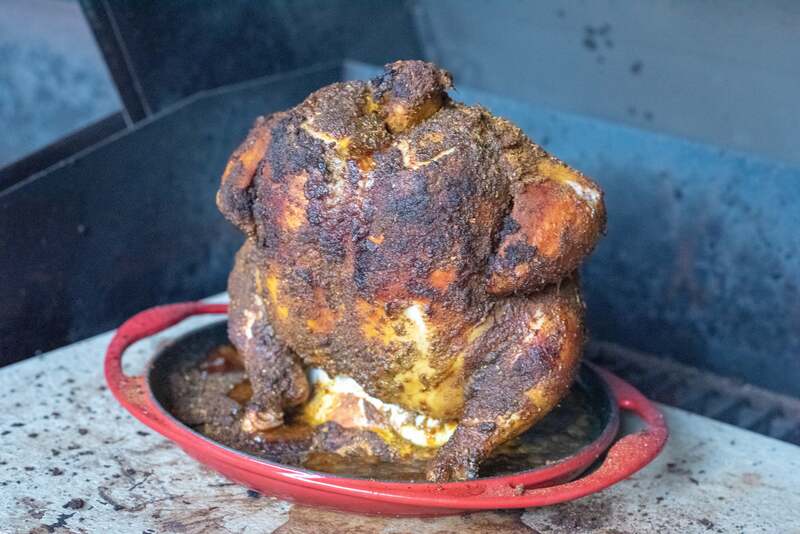 After resting for 10 minutes, remove the chicken from the cooking vessel, carve it (we usually do it into quarters), and serve.